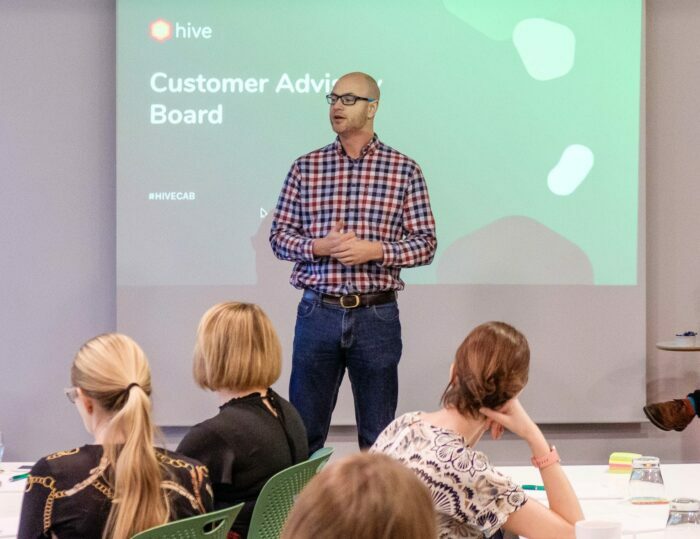 Thursday 7 February 2019 marked Hive’s very first Customer Advisory Board event. 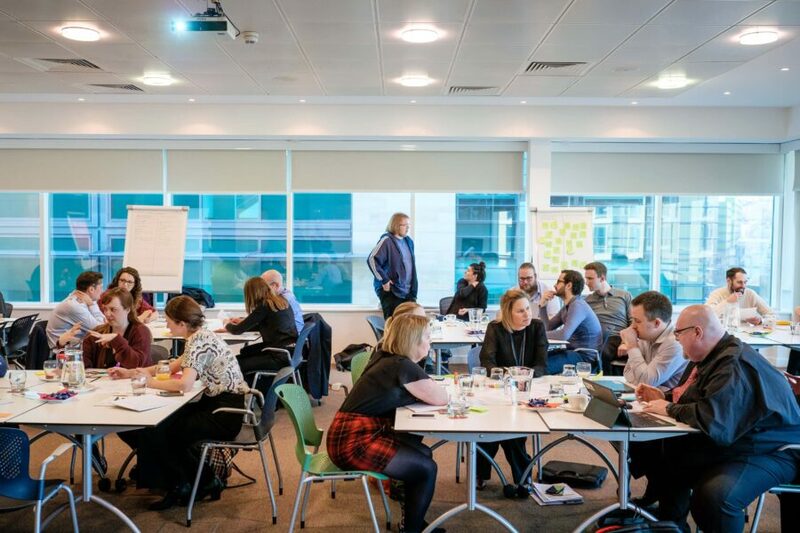 We share the story behind the day, what went down, and how you can show interest in our next event – whether you’re a Hive customer partner or a Human Resources (HR) Practitioner. … we hear you ask. Well, for an employee feedback platform like Hive, a Customer Advisory Board (CAB) is a trusted community of HR senior decision makers and active customers within our industry, which just happens to be HR technology. 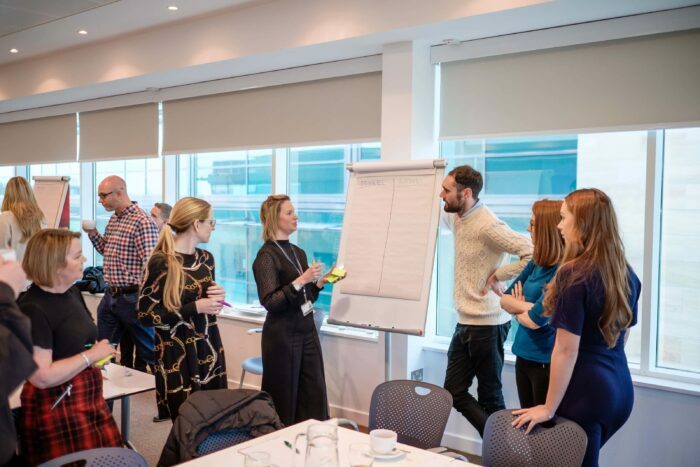 At CAB events, we bring these people together to have strategic conversations about today’s and tomorrow’s HR problems so that we can then shape our product to resolve them. And we’re pleased to report that our first get-together in February (7th) was a great success. Who was there and what went down? So, the morning panel session was designed to host in-depth conversations around employee engagement, People Science, HR technology and the broader employee experience space. Expertly compered by our Head of Sales, Theo Fitzharris, our Director of People Science, Ryan Tahmassebi, was in conversation with Hive customers Nebel Crowhurst (Head of People Experience at River Island), Amrit Nijjar (Internal Comms Manager at Tarmac Group), and friend of Hive, Jules Smith (Head of People Services at Virgin Money). 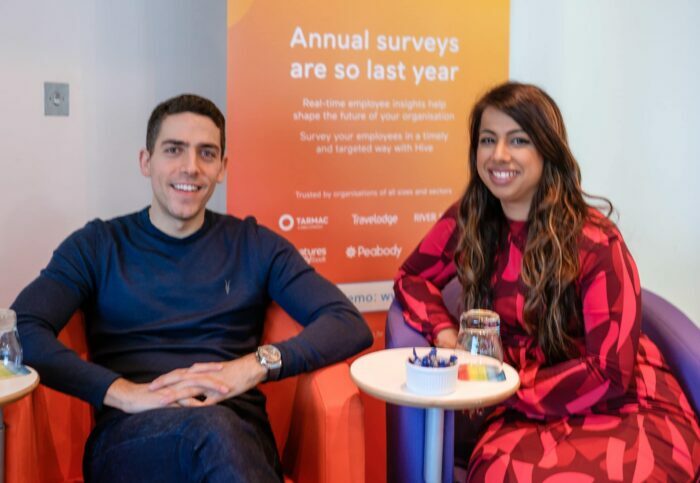 Ryan Tahmassebi, Director of People Science at Hive, and Amrit Nijjar, Internal Comms Manager at Tarmac Group. Making engagement about the employee, not the organisation. Aligning pace of actions to the pace of surveying – the potential of agile. Truly understanding the potential for people data and analytics. 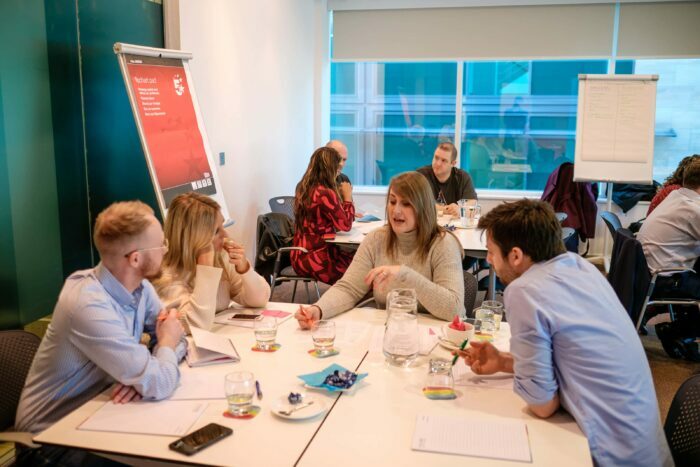 Creating a vision for your employee experience – making it unique to work for your people and business. …which was followed by a collaborative workshop to mindmap the common organisational drivers and blockers in adopting HR technology. Brainstorming HR technology drivers and blockers; Liam Kerrigan, Customer Success Manager at Hive. After lunch and networking (nattering), our new Product Director, Guy Clack, took the floor to talk product strategy – guiding attendees through Hive’s priorities for platform development. It wouldn’t be right that we develop our employee feedback platform without customer and market insight, and so our engineering team sat side-by-side with attendees; taking note of their needs and giving them the opportunity to influence technology sprints in 2019. Leading on product strategy; Guy Clack, Product Director at Hive. Sharing challenges with Hive developers Gareth Lowrie and Geoff Whitehead; Nebel Crowhurst, Head of People Experience at River Island. A huge thanks to Hive’s community! Team Hive would like to give a HUGE thanks to our customer attendees from River Island, Tarmac Group, Stockton Borough Council, Gateshead College, Thomas Swan, Cundall, Your Homes Newcastle, and Hanover Scotland. That’s not to mention local law firm, Muckle LLP, who were the perfect hosts in their scenic city-centre offices. We’ll be running CAB events across locations throughout 2019. If you’re a Hive customer or HR Practitioner who wants to attend our next CAB event, register your interest today by emailing hello@hive.hr. You can also drop us a line if you’d like to hire Team Hive for panel hosting or speaker slots at your employee engagement event. To find out more about our employee feedback platform, book a tailored Hive intro session with a member of our team.